(Seychelles News Agency) - The Ministry of Agriculture with the assistance of the Food and Agriculture Organisation (FAO) is planning to evaluate all agricultural land in Seychelles to see if the land is being used properly. Towards the end of the project, the ministry will put together legislative measures geared towards better management of agricultural land. The project is also seen as essential in ensuring food and nutrition security in the country. An agreement covering the project was signed on Monday by Seychelles’ Minister of Agriculture, Charles Bastienne and the FAO representative for the country, Patrice Takoukam. Bastienne told the press that at the moment there are around 800 hectares of land dedicated to agriculture in Seychelles, however, a significant amount of the land is not being used for agricultural purposes or is under-utilized. “We need to protect those lands as much as possible, considering that around 50 percent of total land in Seychelles is dedicated to national reserves,” said Bastienne. He added that Seychelles must ensure that it gets the most out of the available land resources. The evaluation process will kick off as soon as a national project coordinator is nominated. A workshop will be organised where a team from Seychelles and FAO will meet and plan ahead. The project is expected to be complete within 12 to 18 months. To help with the project the Food and Agriculture Organistation will be supporting Seychelles with technical staff. “Technical staff who are available at the FAO’s headquarter and regional office will be coming to Seychelles from time to time to staff in Seychelles,” said Takoukam. Over the past five years, Takoukam had the opportunity to visit the main islands of Seychelles. During his interactions with farmers, he said that it was clearly outlined that there is a scarcity of agricultural land in Seychelles. “We are also aware of the competition that exists for conservation and tourist activities, resulting in more hotels being built. With more tourists coming to Seychelles, it is important for Seychelles to be able to feed those who are coming in,” said Takoukam. “This could help to improve the capacity of food production for its population and the tourists coming in the country,” he said. The project comes at an opportune time as the government will be launching a comprehensive plan for agriculture in September. 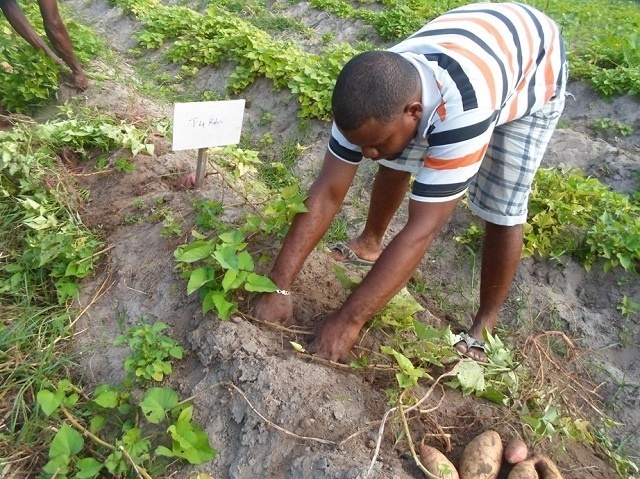 It is one of the 12 projects agreed upon in February between Seychelles and FAO.